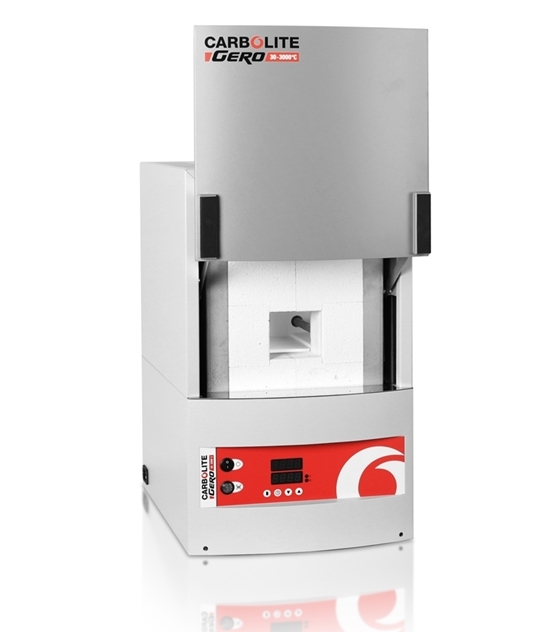 The Carbolite CDF Dental Furnace is equipped with 3 robust high-quality heating elements made of silicon carbide. In contrast to many molybdenum disilicide heating elements these are free of any chemical interaction with zirconium oxide. The dental crowns and frameworks are placed in sintering trays which are filled with a bed of zirconium support beads. The trays are designed to fit exactly in the furnace chamber. The bed of zirconia beads allows for a sintering process with low friction and results in distortion-free frameworks. The dental furnace is equipped with a programmer with four individually configurable programs with 4 ramp/dwell segments. The maximum temperature of 1530 °C allows the majority of commercially available zirconium oxides to be processed. 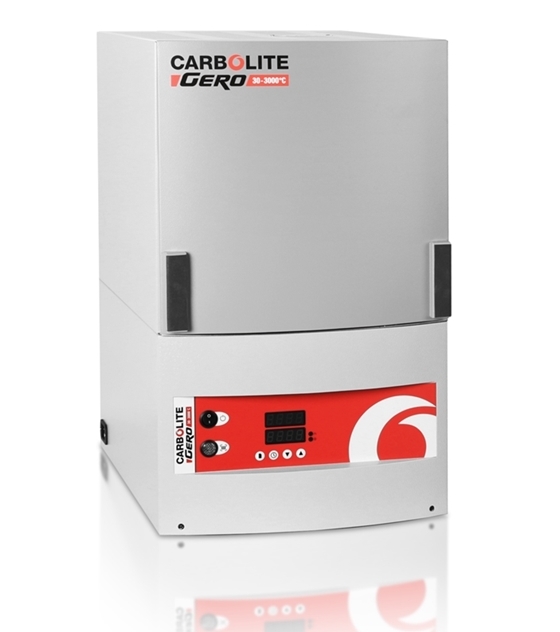 The CDF 15/1C provides high process stability thanks to excellent temperature uniformity in the furnace chamber and exact temperature control. An interruption to the sintering process, for example by a power failure, is displayed by the programmer. This ensures that the sintering process of the dental furnace is completed correctly and the crowns and frameworks have the desired density and stability. The dental furnace is supplied complete with sintering tray and support beads.